Walk in the Footsteps of the Hebrew Prophets, Disciples and Jesus Christ with your own private tour guide with Touring Israel’s tailor made Christian Tours of the Holy Land. Nazareth, the boyhood home of Jesus. Visit the Church of the Annunciation where Mary was met by the Archangel Gabriel who “announced” to her the coming birth of Jesus. Visit the church over the house and carpentry shop of Joseph where Jesus grew up. Nazareth today is one of the largest Arab cities in Israel. Check out its churches, markets and eateries. K’far Nahum (Capernaum) where Peter lived and Jesus visited. Capernaum was a fishing village in the time of the Hasmoneans located on the northern shore of the Sea of Galilee. It had a population of about 1,500 and archaeological excavations have revealed two ancient synagogues built one over the other and a church, which was built on top of the home of Peter where Jesus visited. Via Dolorosa (way of sorrow) where Jesus carried the cross to the Church of the Holy Sepulcher. 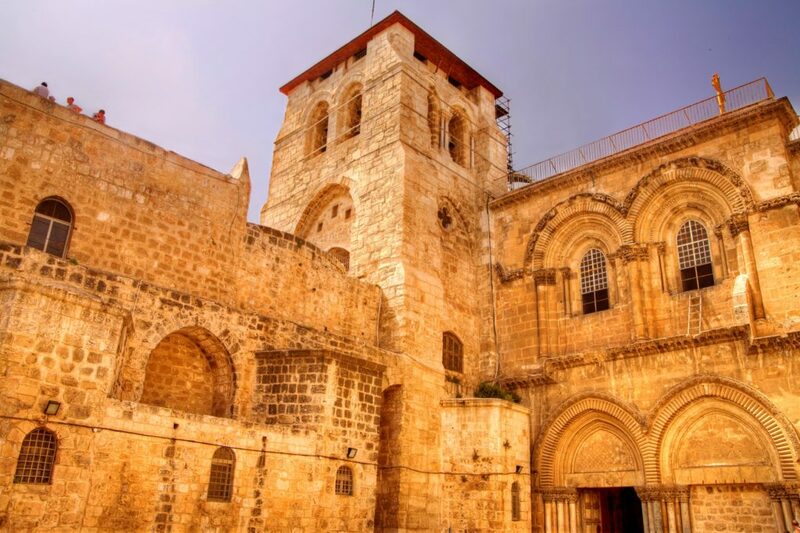 Originally built by the mother of Emperor Constantine in 330 A.D., the Church of the Holy Sepulcher commemorates the hill of crucifixion and the tomb of Jesus’s burial. The original Byzantine church was destroyed by the Persians in AD 614. Rebuilt shortly thereafter, the Egyptian caliph al-Hakim destroyed the church in 1009 and had the tomb hacked down to bedrock. The Crusaders rebuilt the church and much of what is standing today is from that time period. Mt. 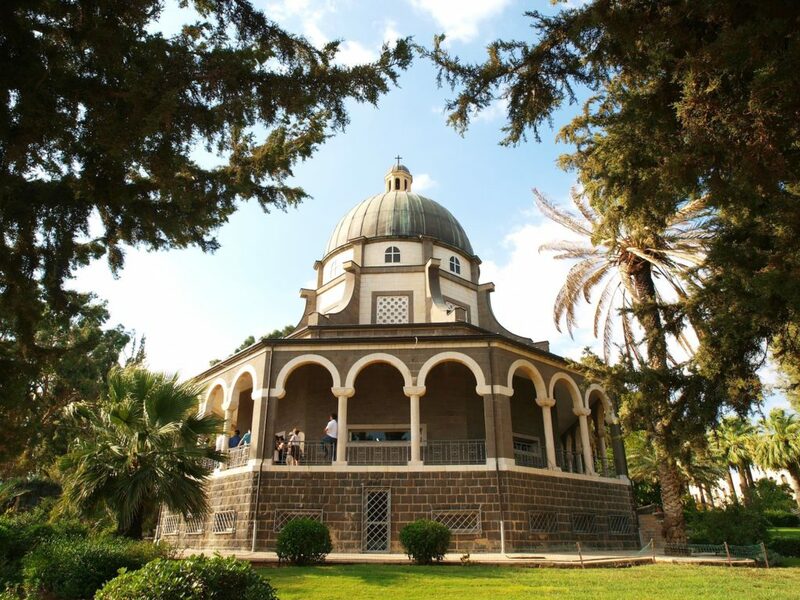 of Beatitudes where a Catholic Church was built in 1927 to commemorate the Sermon on the Mount that Jesus delivered. 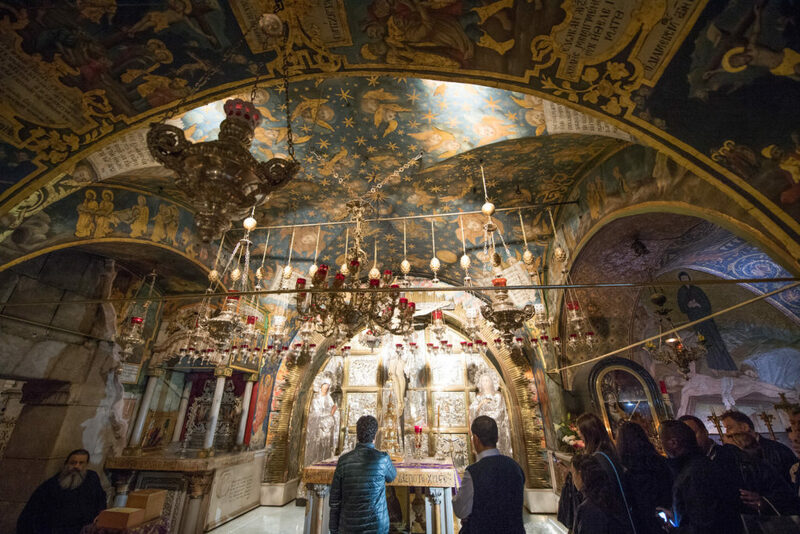 Visit Bethlehem to see the Church of the Nativity, a major Christian holy site, as it marks the traditional place of Christ’s birth. It is also one of the oldest surviving Christian churches, and the Shepherd’s Field – approximately 2 km to the east of Bethlehem lies the village of Beit Sahour, where one of the most sacred places to Christians; the Shepherds’ Field; is found, identified as the scene where the Angel of the Lord visited the shepherds and informed them of Jesus’ birth.